Sometimes it's not a lack of ideas or creativity that keep our goals and dreams at bay, it's a lack of faith. We always start out believing the best will happen and everything will work out but after a few disappointments or set backs that faith starts to waver. 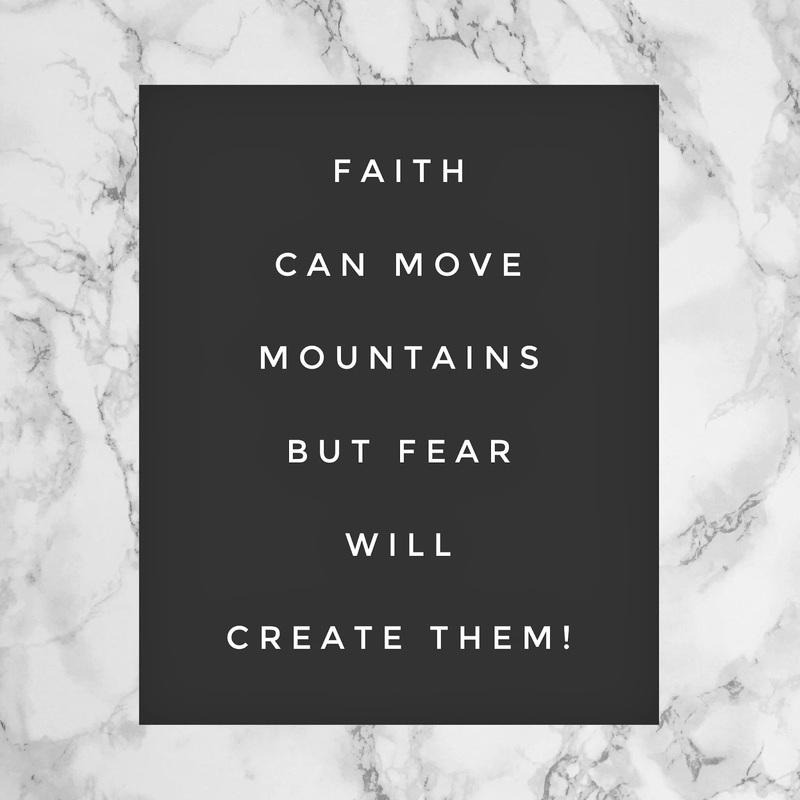 The fear of failure is so strong that it trumps our faith. In order to be successful, you must have FAITH. All the dreams in the world won't do anything without an ounce of faith. If you don't truly believe in yourself, how can you expect anyone else to believe in you or your ideas. When you work really hard and believe in yourself, a sub par idea can look even better than it is. Faith isn't just a noun it's an action. Faith is moving forward with your ideas even without the support of other people. Faith is knocking down doors until someone answers. Faith is hearing a million no's just to get one yes. I am sure many of you know my husbands story but if not here is an example of faith mixed with hard work. I watched him work so hard and the faith he has makes amazing things happen. He wrote his first book and of course no one really knew anything about him or his book. He thought he would be making millions of dollars from this book and realized shortly it doesnt work like that. He believed in himself and didnt give up hope. While still going to his day job every day, he would submit himself to different schools day in and day out, until he got speaking engagements to come speak for free. He didnt stop there, he knew he wanted to be on Oprah. I watched him every day for a year, email into their producers until he finally got a call. Did you read that? Every day for a year! How many of you could keep going after not hearing back for more than 6 months? That's the kind of faith it takes. It means believing in yourself so much that you are willing to do more than the normal and not stopping until you reach your goals. And finally after a year, he got a call from a producer and was brought in to do the Oprah show and shortly after that the Tyra Banks show followed. For all of you that are sitting on amazing dreams or talents, dont give up on yourself. Trust God, work really hard, and have faith that can move mountains and great things will happen!!! You have to believe in you!